Okay so the official start of fall i.e. pumpkin spice release at Starbucks is still a bit far away 😉 but it definitely is the beginning of fall because my allergies are full blown at their worst! Anyone else the coming of fall by the number of kleenex boxes they empty in a week? No one? Thats me right here! 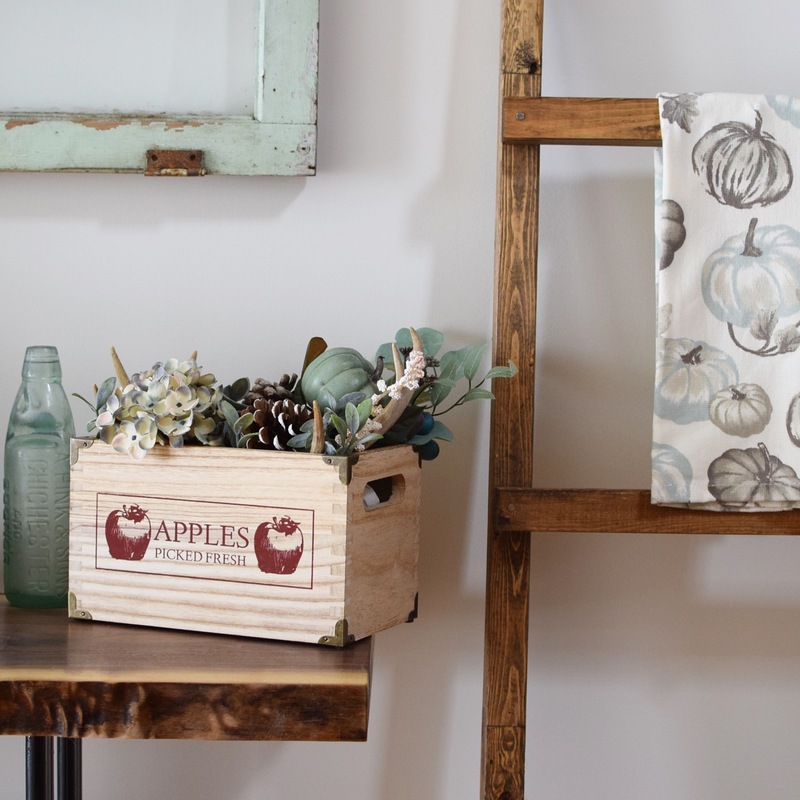 In the joy of allergy season for moi, but also the season of crisp leaves, sweaters, pumpkin spice lattes and apple picking I busted out the fall decor this week. If you follow along on my Instagram stories you will have seen some behind the scenes. And one of the things I struggle with every year is a BUDGET! 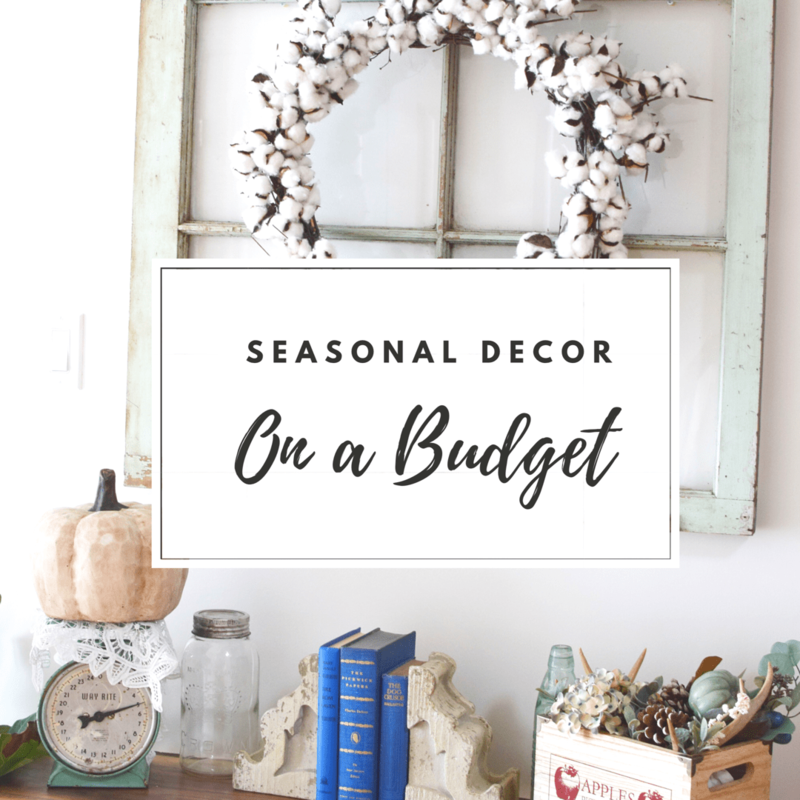 I love decor, I love going to home sense and michael's for seasonal decor - but man can it get expensive!! So.. I set myself a budget of $100 every season. 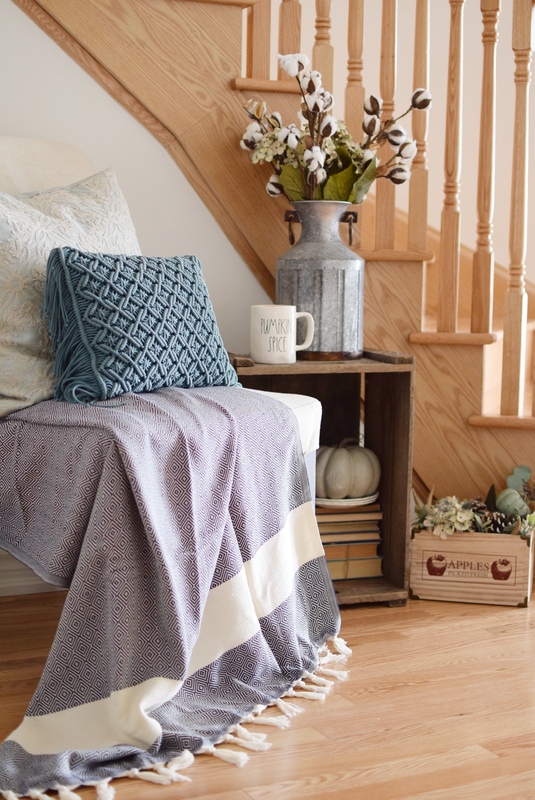 To maximize this budget I do two things: I re use other items around the house that wouldn't be screaming fall and second, I buy items that I KNOW I will re use the next year or for other seasons! One of the things I absolutely love at Michael's are their florals and how they have started styling a "Seasonal Market" with that seasons faux foliage. They pair all the pretty stuff together for that season and basically rope you into buying everything - they know their game, guys! So.. I wait until they have their promo where its buy one get one free or buy 2 for 1 (however they word it). I think this runs pretty much the whole time before the actual start of the season (so its currently on at Michaels and will last for another 2-3 weeks, I am sure - but don't quote me on that). First: Is it "fall enough" if I pair it with other items? So lets take Lamb's Ear Stems for example. While they don't SCREAM fall (they are a muted green and not orange or yellow), if you pair them with a dull yellow sunflower or white cotton stems or faux dried wheat, you can get a cute fall foliage situation! Third: Does the foliage work in multiple CONTAINERS?!?! Okay so this is a key one.. 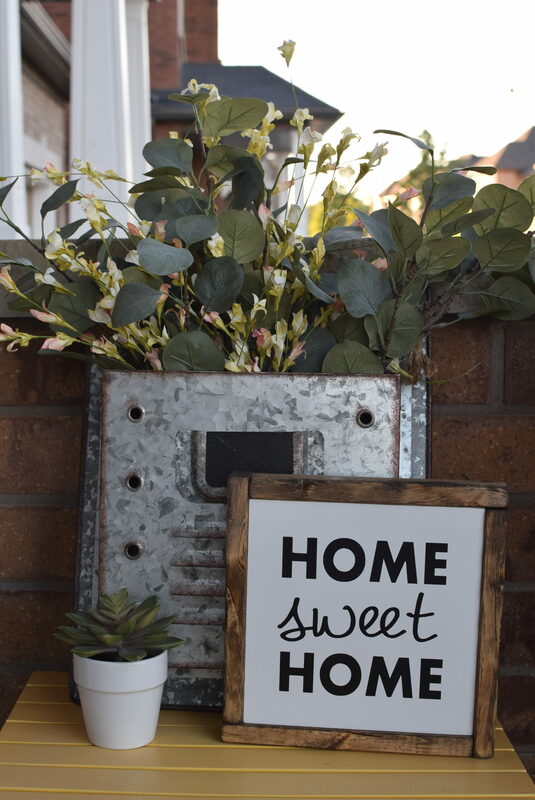 I have a ton of vases, jars, crates etc that I like to style seasonally. Buying stems can get expensive REAL FAST! So.. I look for stems on which you can pull off the flowers (rather than cutting the stem to size, because then you are bound to that sized stem FOREVER.. thats a lot of commitment if you ask me lol). So for example, lets take dried hydrangeas from Michael. I can either pull them off their stems (they pop right off, with a gentle yank and you can easily put them back on) and use as stuffers on a fall centre piece OR I can pop them back on the stem and use it to fill a cute rusty-chippy-galvanized-milk-container. Fourth: Can I get it for FREE?!?! I am all about the FREE stuff! My friends will tell you that haha! I don't like wasting my $100 budget on things like wood logs or pinecones, when nature (and friends) are generous enough to give us these! So whenever in the midst of fall, I see pinecones lying around.. I fill up my coat pockets pretty quickly. I will come home and dry them in the oven (just google how to dry pinecones!) and then I have a pretty stash to last me that season, winter and the years to come! So that is my mental checklist that goes through my mind when I am at Michaels. Don't get me wrong - I will buy faux pumpkins and stems with pumpkins on them. But what the above checklist does is, it frees up my budget for those seasonal items so I can build up my stash, if you know what I mean 😀 Stay tuned for a fun fall DIY that I created using the above tips, coming to you on Wednesday! Until then, have a great day friends. May your Monday be short and your coffee strong! Also, leave me a comment or come say hello on Instagram, Pinterest, and Facebook.